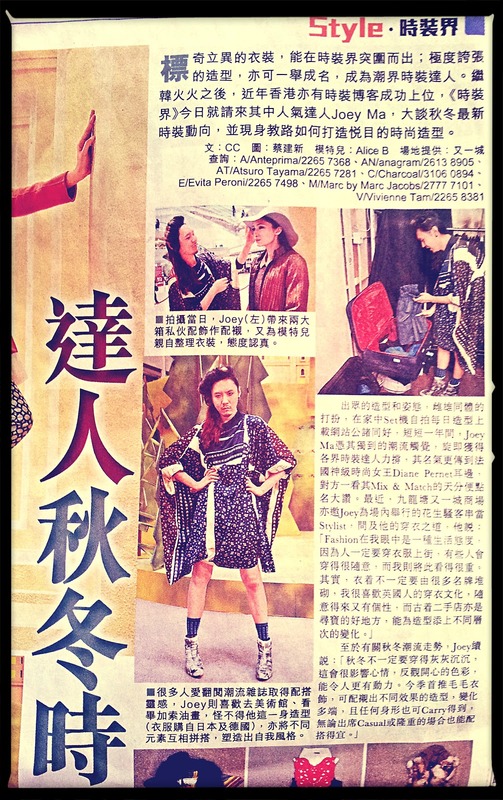 I N D I V I D U A L I T Y: Feature article on Sing Tao Daily! Another feature article comes out today on Sing Tao Daily. I really appreciate what the reporter wrote about me. It's so rare to have a reporter just reports what I say completely during the interview. I am so grateful about it, thank you so much CC! Alice B is the model that I worked with on this feature article. And I am just so grateful to work with her. She did her own make up, and did the hair by herself with the hats that I provided for her. It is always very nice to see a model that actually has styles. Alice made the photo shoot went extra smooth. I guess people from East London truly are my kind of people haha, thank you Alice! I hope you like my styling on the six outfits.